1. 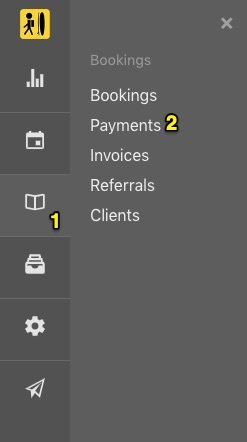 Click on the Bookings Module. 3. Here you can filter which payments you want to display by setting a period and payment method, amount, currency and location. 4. Click on the Booking Number. 5. Go to the Payments Tab. 6. Delete the payment by clicking on the three dots. 7. The deleted payment will cause the due amount to increase by that amount again.